Illustration the water cycle without any directional arrows showing the circulation of water. 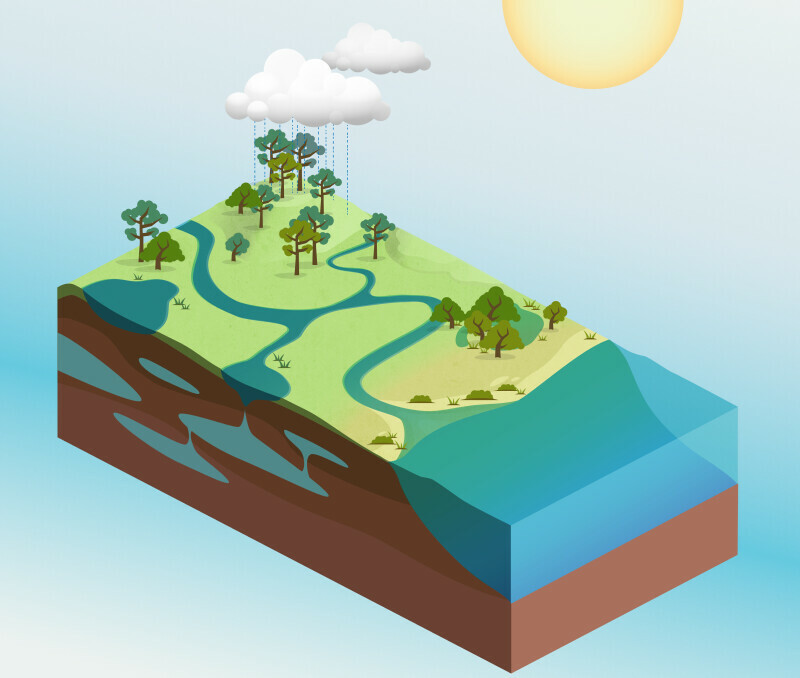 It can be used, along with other graphics in the Water Cycle Animation Graphics gallery, to create animations of the water cycle. WARNING: You are about to download a 65.4 MB TIFF!